When there is a tragedy, you have the terrible responsibility to inform the public. Please don’t interview witnesses who are children. I don’t care if their parents give permission. The parents are probably too traumatized to make a rational decision as well. What good comes from it? These babies are already damaged and you want to put their reactions on the air? For what? Not for me. I immediately turn off any program that shows it. Which has meant I haven’t watched much of the coverage for this latest mass shooting. I think it’s lazy reporting at best and intrusive and a violation at it’s worst. Instead, find adults who can tell you what it was like for the children but don’t interview the children themselves. Find stories of compassion and heroics and focus on them. Please don’t make us relive the horror over and over. We have a responsibility to our children to help them make sense of the senseless. As the media, you have the responsibility to report the news with accuracy and compassion. God bless and guide the parents of the dead. God bless and guide the law enforcement community who must identify the dead. And God bless and guide the media charged to inform the public. When I was young, I would love to listen to the radio. I was star struck by the disk jockeys and can remember the thrill of finding a distant signal from St. Louis or Chicago on the AM dial. This was before FM radio, before MTV, before YouTube, satellite radio or iTunes. Today, my children could not care less about radio nor can they understand the thrill of tuning in a distant radio signal. After all, they can find any music they want online. If they want to know what’s happening in Chicago, they can Google it. Radio continues to struggle. I know it and I hate it. Those who are still on-air on local radio live a precarious life. Corporations, of course, want a profit run radio. I don’t deny them that. They rely on shares, ratings, books, whatever it’s called, to prove to advertisers that their station is the most popular in one demographic or the other. I understand the need for measurement. However, these corporations are forgetting something very important. They are forgetting about the one thing that will save local radio from the onslaught of internet radio and satellite radio: engagement with the community. In Memphis, there is a great radio station that appeared to have the corporate backing to be engaged with the community. All of the on-air talent is encouraged to use social media to connect with listeners and they do it well. They have an active Twitter account and Facebook fan page with great engagement in both platforms. This station embraces being local and supports local events. Their talent is seen at all types of events, even events that the station is not a direct sponsor. It’s been great to see them embrace the community and leverage social media in that engagement, as I believe that this increases loyalty to the station. But last week, they made a big mistake. They fired, without warning, an eighteen-year veteran of local radio and one half of their popular morning show. It was shocking. Why? All she could say was the station was going in a different direction and it didn’t include her. The next morning’s show was painful to listen to without her. Her on-air partner could say nothing about her absence but anyone who listened could hear the pain in his voice. After all, he had been fired from another station owned by this same group as part of a three-person morning team some years before. She was one of those left behind that time. You would like to think the corporate guys would have learned the first time, but no. So today, I am upset and disappointed. Not only because of who was fired, but the way it was done. There is still no official statement from the station. All traces of her are gone from the website. They removed negative comments to their Facebook fan page and barred those who posted in protest from future comments. Not smart. You already have an upset fan base and you make them even more upset by banning them from the community and telling them nothing? Community. That is what will draw listeners to local radio. Community is not shares. Community is not ratings or books. Community is made up of people and people listen to the radio. People like knowing she has two kids in local schools and he has one in college. People grieve when his mother dies. People celebrate when another personality announces a marriage or a baby. This is not how you treat your community. I still love radio. I love the people on radio and I will continue to support them, even when those in charge of the future of the station can’t see what’s right in front of their faces. On a beautiful Friday in late April, I was fortunate enough to travel to Knoxville with the Howell Marketing team and attend Social Media Club of Knoxville’s Social Slam, also known as SoSlam. It was my second year to attend and it was totally worth the 6-hour drive across the state. There have already been some great blogs written to recap the event; Chris Craft’s Social Slam versus your favorite social media conference is one you may want to read. I won’t attempt to top this. I will share with you a few of my takeaways from the event. First off: Relationships. It’s all about the relationships. 12 hours in a car and sharing a hotel room will tell you a lot about a person. The time I spent with Howell team members Jessica Grammer and Kiersten Bagley was invaluable. I feel fortunate to work with these two bright young ladies and you should take the time to get to know them as well. I can’t possibly list all the people I saw at SoSlam, but a few relationships stand out. Getting to finally met Deb Dobson in person was a highlight of the day. As was rekindling a friendship with Jayme Soulati. She was sweet enough to include me in her man on the street videos from the day. You can view it here. My thoughts on SoSlam relationships would not be complete without mentioning my friend Amy Howell. Without her I would never have heard of SoSlam nor would I have met its driving force, Mark Schaefer. Big thanks to Mark for being the man behind the event. Social media doesn’t give you answers, just better questions. How do you solve the problem of your social media reluctant CEO? Show him the numbers. Track everything. Third, content. Lots of it. Marcus Sheridan was the perfect mid-afternoon speaker as he woke us all up with his high-energy presentation. He is a huge advocate of content marketing following almost going bankrupt after the recession. His use of inbound marketing not only saved his pool installation company but made their website the most visited swimming pool website in the world. But remember, data and content can’t and will never replace relationships. Which is why I have next year’s SoSlam already down on my calendar. It’s April 5, 2013. See you there! GET READY MEMPHIS! Great ad campaign or just annoying? For weeks and what felt like months, Memphis radio listeners have been subjected to a huge radio buy running a commercial about a guy intrigued by billboards up around town saying “It’s About Time” and “Get Ready Memphis.” He prattles on about how he can’t wait to find out what it’s all about and the ad runs so often, I think I’ll scream when it comes on. It had bright billboards all over town proclaiming “I Found It” and I think it even had a smiley face. Radio ads backed it up. When the reveal came, the “it” was Jesus and the organization behind the campaign was Campus Crusade for Christ. They came to our door at home to “share what they found” and my hilarious mother told them, “We are Episcopalians,” before slamming the door in their faces. So when Easter came and went without a reveal, I was curious. Maybe this was a civic organization promoting a better way for Memphis. It could be promoting civic pride and love for Memphis. Okay, I can get behind that, even if the commercial annoys me. I’m all for anything positive for our city. This morning, the reveal commercial began running and the campaign is for a car dealership. I won’t say who they are because I refuse to give them any more publicity, but if you live in Memphis, you know who they are and probably bought a car from them before, I have. I don’t know who their agency is, but I’d be embarrassed to be a part of that team. What could have been a good way to bring a city together ends up being a crass way to get people to go to a revamped car sales website. Gross. And I know there are those who will say any ad is a good ad if people are talking about it and I’m talking about it. I couldn’t disagree more. Maybe there was a time when that worked. Today’s consumer is too savvy for that. They have grown up having ads pushed down their throats and have learned to discriminate. That’s why social media has become what it has. People look for community and for messages they can trust. Get Ready Memphis? And it’s for a new way to buy cars? This Easter weekend means many things to my family. We will go to church Sunday morning and then come home to prepare for our family Easter dinner. The fact that it is also Sunday at the Masters makes the day even more special for us. I’ve been cleaning the house, fussing at my children about them leaving their stuff all over the place and instructing my husband on the things he needs to do to prepare. One thing we will not have to worry about is food. I picked up a ham and some casseroles, my in-laws are bringing barbeque with all the trimmings and my husband’s brother will bring dessert. I will even make pimento cheese sandwiches in honor of The Masters. Not everyone is as fortunate as we are. Or you. 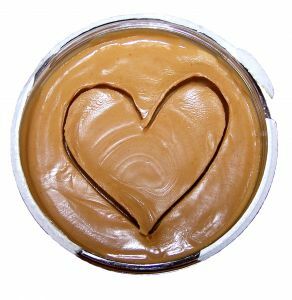 Many struggle to put even a simple meal of peanut butter sandwiches on the table for their families and that’s just not right. We who have plenty and should be able to help those who do not. The Mid-South Food Bank stands in the gap for those facing hunger but today, their cupboards are bare. My dear friend, Amy Howell, heard about this need, as as she is apt to do, she swung into action. Within 12 hours, her passionate leadership inspired people like Claire Hick to step in and get a TV news story and a newspaper article. Hundreds of tweets have been tweeted with the hashtag #memfood and the Howell Team put together an eblast alerting our professional contacts was sent, even on a day off. More is coming, but more is needed. Join us and bring a donation by the Howell Marketing offices. Food donations are welcome but monetary donations will go further. Every dollar you give to the Food Bank will allow them to buy $4 worth of nutritious food. And for the rest of April, your donations go even farther, thanks to the Feinstein Challenge. If your Easter or Passover weekend has been filled with abundance, take a minute and go to the Mid-South Food Bank website and make a donation. A young man died today. I didn’t know him. I should know his parents. They go to my church, we are members of the same social club, we have both been on the Emmaus Walk and have many mutual friends but somehow I never really got to know more than their names. However, I knew on Friday about their son’s tragic diving accident that happened that day. Mutual friends on Facebook posted prayer requests for him. I was struck by the accident as I also have a college age child. So, it was no surprise to me when our minister, Shane Stanford, asked our congregation to “lay on hands” for this family, in a virtual way since they were in Pensacola, FL with their son in the hospital. It was a beautiful sight to see nearly 1000 people with hands lifted high in prayer for people some knew and who some did not. I feel blessed to have been a part of that. Social media played a huge part in disseminating the information about this event. Facebook and CaringBridge allowed this family to share their shock, dis-belief and grief. They also were able to feel in a real way the love of friends and strangers. This young man’s mother posted that they had read every Facebook post and comment on CaringBridge, and she shared that reading these stories helped to sustain her. Sometimes I wonder if I’m wasting my time by engaging on social media sites. This is not one of those times. I’m not one to make New Year resolutions. I never thought they served much purpose. Why resolve to do things in January that I’ve wanted to do all along during the year? But this year, I do have one thought on my mind. Relationships. This started a few weeks ago after a sermon preached by Rev. Shane Stanford when he talked about encounters. He was sharing with the congregation about the importance of even the smallest encounter with another person. How it can lead to something much more significant down the road. Sadly, the answer is no. So, for 2012, I still won’t make a resolution. But I will start being more intentional in my relationships with others. There are so many people I come in contact with daily. Not just my family, co-workers, and clients. But vendors, reporters, sales reps, all these people mean something, not just to me but to God as well. When our lives intersect, what is my response? How should I deal with the encounter? I know I’m called to pay closer attention but where that leads, I’m not sure. But I’m looking forward to finding out. 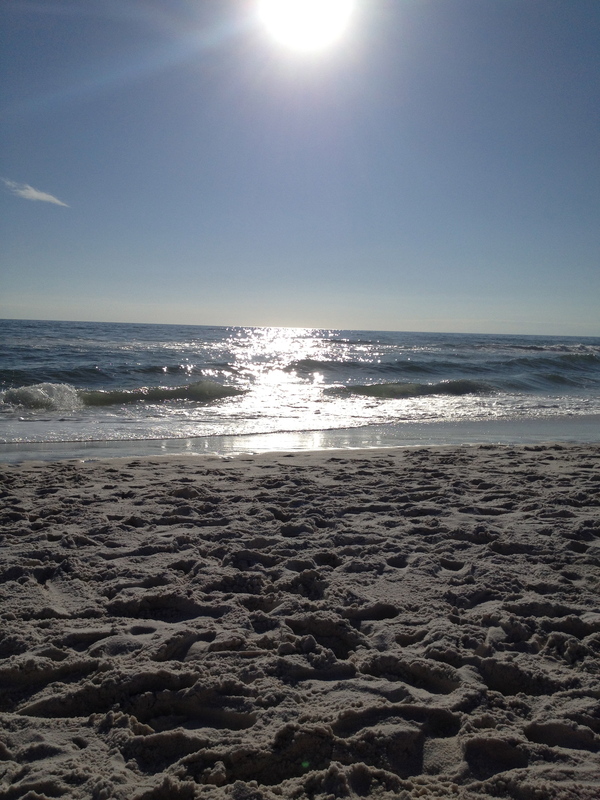 I’m on vacation with my family at the beach on the Florida panhandle. Yet today, I benefited from a social media conference held in Pennsylvania, scheduled a client meeting in Memphis for next week and learned about a house fire two doors down from my house. All before lunch! The picture above is our neighbor’s home after the fire. They will have to tear down their home and rebuild. While this this was happening, I was thinking about the things that make for success in social media. I’m not so arrogant to think that I’ve made it in anything much less social media. Frankly, I don’t have a secret formula to get loads of followers or tons of re-tweets. What I do know is what my mom taught me years ago and it’s what I try to teach my girls. Yes, I think it is that simple. Be nice to others. Don’t take what’s not yours. Share. Thank people when they share your tweets. Should this be a public reply or an @reply? That’s really up to you and depends on the situation. Do you want your followers to know more about the person who you are thanking so they can follow them as well? Then make it public. Otherwise, make it an @ reply. But don’t use it just to promote yourself. That’s obnoxious. Don’t take what’s not yours. It’s great when you read a blog post and get a great idea for yourself. But don’t take that post and pass it off as your own. I trust the source but nine times out of ten, I will go back and read it later. Basically, I share things I find interesting. You should too. People who think what you post is interesting will follow you. There are lots of tools to study the metrics of your social media campaign. And ways to measure your reach and impressions and all of that is important, especially if you a doing social media for business. But these simple rules still apply. Be nice. Don’t steal. Share. Be a friend. Your life will be better for it. We live in an amazing time. Information is spread at lightning speed via social networks like Facebook and Twitter in a way I could not have imagined even two years ago. Even corporate marketing has joined in the social networking revolution, using blogs, Facebook fan pages, Twitter feeds, Google+ accounts, Foursquare check-ins and other platforms to connect with customers to tell their companies’ stories. We have come a long way from the static web page of the 1990s! How can churches and other houses of worship join the social networking revolution and reach younger generations who use their smart phones for everything? Blogs: Blogs are simply online personal journals with reflections. It’s a great way for ministers to share their thoughts. Pastor Tullian Tchividjian, pastor of Coral Ridge Presbyterian Church in Fort Lauderdale and the grandson of Billy and Ruth Graham, has an excellent example of a blog at http://thegospelcoalition.org. Visit blogger.com, wordpress.org, tumblr.com or any of several other free blogging platforms to start your own. Twitter: A Twitter account is also known as a microblog; updates (tweets) are limited to 140 characters. Congregations can use the account to keep followers updated on upcoming events. Trusted members can even “live-tweet” the sermon and share the service with those who cannot be there. Christ United Methodist Church (@cumcmemphis) does an excellent job of utilizing this tool. Go to twitter.com and start your own account. Flickr and Tumbler: Along with Twitter, there are a variety of photo and video sharing services like Flickr and Tumblr. You can post and share photos of worship services, children’s ministry, youth programs, outreach services and other ways your congregation is working in the community. Go to flickr.com or tumblr.com and start sharing photos or videos. Facebook: This is another great way to make a real connection with people. I have had the opportunity to watch my friend Rev. Steve Stone use this tool in a fabulous way over the past year. He has consistently used his personal Facebook page to reinforce the message of love and acceptance he preaches at Heartsong Church. The interaction there is powerful and meaningful. Go to facebook.com and start your own personal page or your congregation’s own fan page. Geolocation: Foursquare and other digital tools that allow you to track by geography are being used by many retailers to attract new customers. Why not a church? People are using these tools to find locations they want to visit, and congregations should be ready to welcome these users. These are just a few of the growing number of digital tools available. Others include YouTube, Ustream, Vimeo, podcasting, QR codes, Google+. Who knows what’s next! The point is that these are free tools that churches can take advantage of now to cast a wider net in this day of the viral Internet. Alys Drake is communications manager for Howell Marketing Strategies. Follow her on Twitter @alysdrake. Recently, I had the pleasure of meeting Tom Koulopoulos (@TKspeaks) when he spoke to The Lipscomb and Pitts Breakfast Club as a guest of masterIT. After spending an evening with Tom eating bar-b-q at the famous Memphis restaurant, The Rendezvous, before his talk to the Breakfast Club, I began really thinking about how technology has impacted my life. 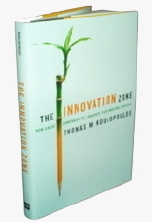 Tom says for an invention to be innovative it must change behavior and provide value. The other day, we were talking in our office about when we first went to work. I know I used computers from the very beginning of my work experience in 1983 at a medical technology company. 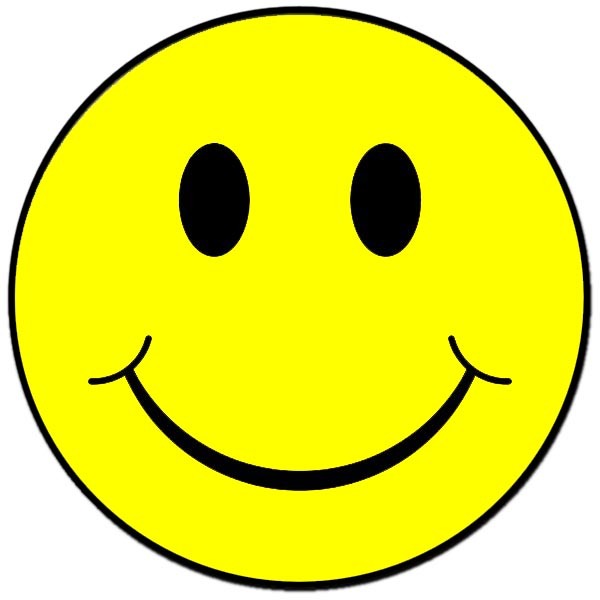 I worked in the customer service department where I took orders from hospitals and doctor’s offices. But it would be at least another 10 years before I had a computer in my home. And cell phones? I got a “car phone” in 1994 after a car accident that left me alone with my infant daughter. My mom bought the phone and paid for the installation. Of course, my husband and I were stuck with the monthly bill. Which we have paid for the rest of our lives! Having these inventions isn’t what’s important. The way they changed my behavior and provide value is what makes them innovative. Social media must be the most innovative change in my life. It’s where I keep up with friends, old and new. It’s where I read the news, get weather alerts, share stories, read cheap show business gossip and keep up with the happenings of my now teen-age daughter’s life. And it’s been even more so for businesses. Blogs, audience engagement, Facebook pages, LinkedIn profiles, twitter feeds, YouTube channels. All of these have created a new environment where businesses can interact with customers. It is quite an innovative change as you see more and more businesses embracing engagement versus the old way of posting a website and walking away. This innovation is here to stay and will continue to change behavior while adding value. Businesses must embrace social media as they seek to survive and thrive.